The Bay Area is known for many things, but it is almost criminally underrated when it comes to its record stores. The quantity of record stores to shop at is a reflection of the area’s deeply rooted vinyl culture that goes back to the beginnings of genres like Disco and Soul. Nowadays it feels like a new specialty store opens up every year enriching the scene bringing access to new genres to the masses. Simply put there has never been a better time to be interested in vinyl. To help out all you vinyl lovers we’ve compiled the first ever definitive guide to the Bay Area’s best records stores just in time for Record Store Day! We’ve highlighted our favorite shops in no particular order to help you know where to start. Make sure to stay curious and try out new watering holes. Sometimes the grass is greener on the other side. If you are looking for any kind of Hip-Hop or Rap, then Park Blvd is a must visit. The shop really knows hip-hop and you will find meticulously labeled sections from 90’s to Soundcloud Rap. Although small in size the shop boasts a wealth of other genres like Disco, House, and other Electronic Music. 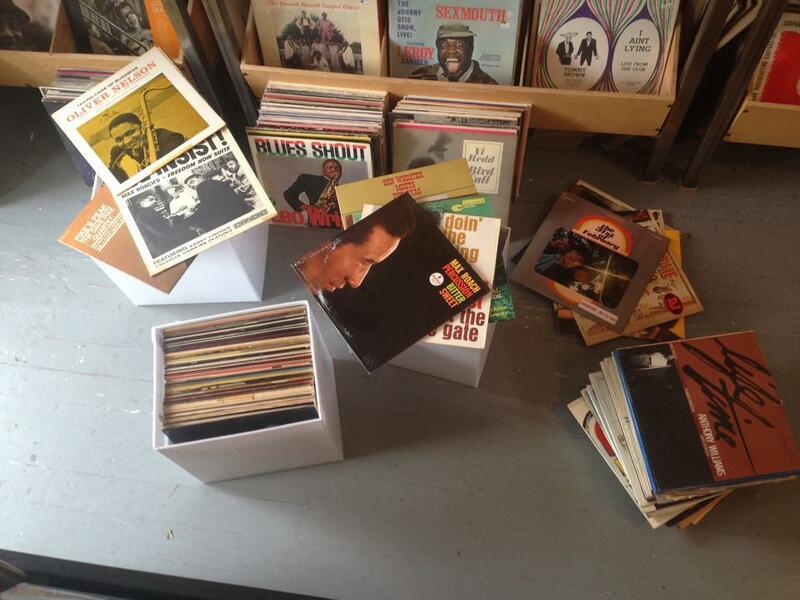 Soul, funk, rock, and disco 45’s are the name of the game at this South Berkeley record store. 12 inch records are also in abundance and the Jazz section is often full of hidden gems. This place probably takes the crown for best record store in Berkeley with its steady rotation of new and used records and knowledgeable staff. Its calling card is its friendly atmosphere that has led this to be a popular event and hangout spot for the local music community. Paradise Records only opened up in 2018, but it has quickly gained a reputation for stocking the deep cuts that selectors love. Disco, funk, House, Jazz, and eclectic genres permeate the shelves and it’s guaranteed you will find something new on every trip. The whole inventory in this tiny shop is curated by its owner, Oliver whose knowledge of music is matched only by his eagerness to share it. VAMP is a vintage clothes, records store and artist hangout in Downtown Oakland. Its selection of records are definitely on the eclectic side, but lovers of African, Latin, and funk music will have tons of fun finding what has escaped notice from early diggers. A healthy spattering of Jazz and Soul records makes for a unique selection that has frequently been known to generate some stellar finds. Plus, the store has couches if you feel like staying a while. Econo Jam is a fantastic spot with a great location in Uptown Oakland, which makes it many diggers local spot. The stores racks are noted for stocking local musicians and artists from genres ranging hip-hop to Punk rock. The bargain bins are also always stoked with secret weapons that deserve a chance to shine. If you aren’t a bargain shopper then there’s always the rare section and plenty of new vinyl to stock up on. A tiny, but well curated shop that stocks re-issues and rare oddities at value prices. The first physical Bandcamp store has landed in Oakland. Its like the website…but in real life. Specializes in UK/Euro imports and indies, classic and rare re-issues, U.S. indies & modern rock. An unassuming store front on San Pablo with surprisingly good records. Ask the shopkeeper for a recommendation. Nothing gets more classic than Ameoba. You are sure to find all the newest contemporary music. On a student budget? This could be a good spot. Interesting shelves and plenty of bins to dig through if you are looking for a certain records. Popular genres include Reggae and Soul. This little shop specializes in acoustic music from all around the world. The go to place for serious collectors of hard to find vinyl LPs. It’s all in the name really. Located in the Lower Haight this record shop is the definitive stop for House, Techno, and Electronica. The space was opened by longtime local DJs and still caters to many of San Francisco’s local professional scene. On any given day it is not uncommon to see impromptu DJ sessions performed by regulars and friends of the shop. This is the place to find new and old releases of classic House, Detroit Techno, and new electronic genres, but also a place to find community and other people interested in DJ culture. The Tenderloin outpost opened in the summer of 2013 and has gone through a few floor plans. This enigmatic record store located in the 94109 district of San Francisco is a one stop shop for Techno, House, Experimental, but mostly Techno. It is also the unofficial hub for San Francisco’s stand out record label Dark Entries. In addition to serving coffee, RS acts as an important cultural hub within the contemporary underground music community and hosts shows and events. If you like music to listen to in the dark, this is the place for you. Located in the Lower Haight District of San Francisco, Groove Merchant has been around for 26 years and is one of the best record stores the City has to offer. 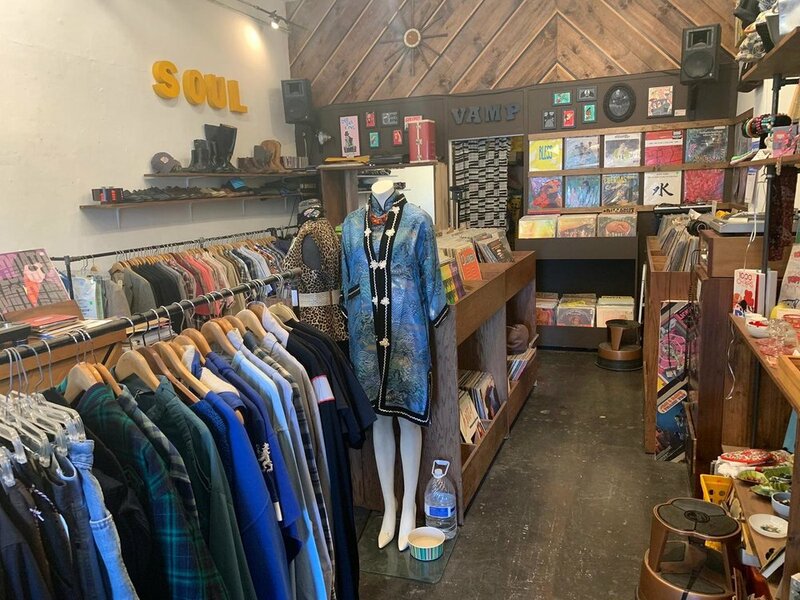 Known for their incredible selection of Jazz, funk, and Soul this shop stocks the kinds of things to surprise even the most experience music aficionado. The reputation of the shop precedes itself and if you absolutely cannot leave the city without checking out their shelves; quite frankly it’s a must visit for those on their record store pilgrimage. If you don’t know what you are looking for you can’t go wrong with Amoeba’s extensive selection. Volunteer-run store specializing in Punk vinyl, including albums put out on its own recording label. Stranded is the retail arm of archival label Superior Viaduct with locations in New York, San Francisco and Oakland. Independent record store known for its selection of obscure titles & on-site music performances. Specializing in Rock, Punk, and Indie genres. Hip vinyl shop boasts a variety of classic records & listening stations in a compact colorful venue. The Disco and funk selection is also quite nice. A highly curated record store with obscure music from the 80’s, 90’s, 2000’s, and more. An awesome shop in San Francisco by the beach offering new and used vinyl, cassettes, and funky beachy goods. 20 year old institution known for hard-to-find gems and a knowledgeable and enthusiastic staff. Whether it is 60's Rock or folk, 70's fusion, 50's Jazz, classical, movie soundtracks, children's music, or just the strangest slab of wax you ever heard, you will always exit Grooves with an unexpected score. Small record store that in addition to carrying used vinyl, offers ultrasonic cleaning and de-warping services in the local San Francisco Bay Area. Jazz, Hip-Hop, Soul, Blues, Rock, and Folk. This San Jose record shop offers dance music oriented selections like Hip Hop, House, Techno, Soul, Indie, and other great 12" singles. In addition, the shop’s attention to detail and curation make for a very pleasant experience for shoppers. The store also operates its own record label and organizes live performances with local and visiting artists. You can also check out their Fremont location if you are in that area.